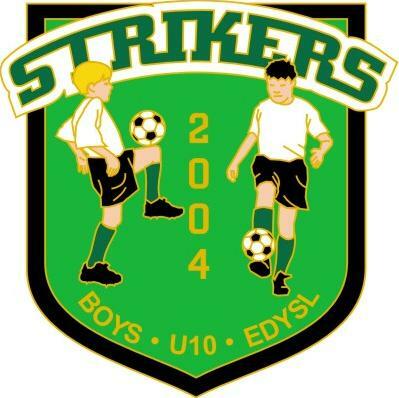 The first two years I coached competitive soccer, I had custom-designed pins made for each team (see below). 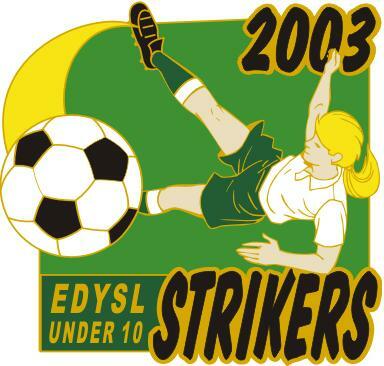 I got the idea to do this because at many youth soccer tournaments, players receive pins to commemorate the event and the players always seemed to enjoy them. But I also did it for the following reasons: fundraising, sportsmanship, and memories. I’m sure many of you have seen and participated in the fundraising program where players supply the names of 10 friends and family members who they think would be willing to donate money to their team. Letters are sent to these folks which include the reason(s) for the request and may also include a hand-written note from the player or a collection of player biographies. I found grandparents and aunts/uncles to be the best contributors. That is what my teams did and as a token of our appreciation, we included the team pins to each recipient regardless of whether they donated or not. I really like the professional pre-game ceremony when captains exchange gifts prior to the coin-toss. With the pins, I took that idea one step further. Instead of only our captain(s) presenting the pin to the opposing team, I had the whole team participate. Since the other team did not know they would be receiving our gift during the post-game handshake, I would always tell the opposing coach what we intended to do. It did not matter if we won or lost or that we did not get anything tangible in return. This act taught my players good sportsmanship and the thank yous we received from the opposing players and coaches were very gratifying. Each player was given five pins to do with as he/she pleased. Every player put one on his/her soccer bag alongside the other pins they had collected. To this day, I still see the pins adorning some of those players’ bags. Also a few years ago, my daughter’s new BFFs happened to be two girls she played against when her team was handing out the pins. The girls remembered her team and still had the pins. I’m not sure the fundraising efforts were a complete success. 500 pins per team (which was plenty) cost roughly $550. We recouped that expense but never made the many thousands of dollars I was expecting. However, I strongly believe that today (see the dates on the pins), with the proliferation of team web pages and the ease with which teams can collect donations, I know this type of fundraising effort can and will raise a lot more money. Most importantly, however, it taught the players about good sportsmanship and they were involved in a unique activity that not only created lasting memories for themselves but for their opponents as well. If there are any pin company(ies) that would like to sponsor this type of fundraising activity by offering ‘fundraising discounts’, I would be more than happy to include the name of your company, the web site link, and what type of discount you will offer. Simply contact me.